While the freefall is a thrilling part of the experience, but it doesn’t just stop once you pull the parachute. Once the colorful canopy opens, it is a completely different experience. Most instructors will inform you that the canopy float back to the ground is their favorite part. It is slow, quiet, peaceful, and the scenery is quite breathtaking. There are so many other aspects of skydiving besides just the freefall, but we don’t want to ruin it for you, come experience it for yourself! 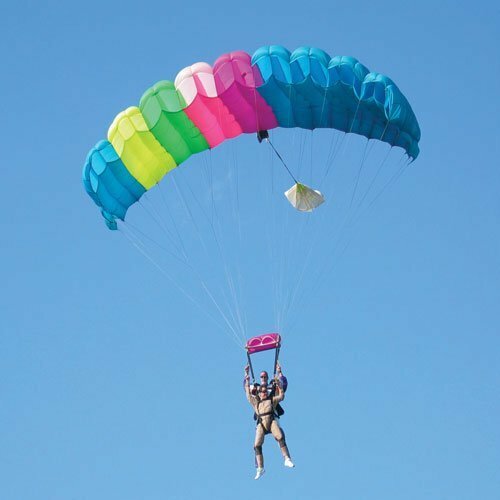 There are specific skydiving certifications that are required before you are allowed to take a skydive by yourself, however, with most locations, the certification can take anywhere from two days to two weeks. It all depends on how fast you successfully work through the course. After you receive your first certification to jump on your own, the jumps get cheaper! Averaging at about $20 a per jump, it becomes easier to get a coach rating in order to assist instructors in student training! 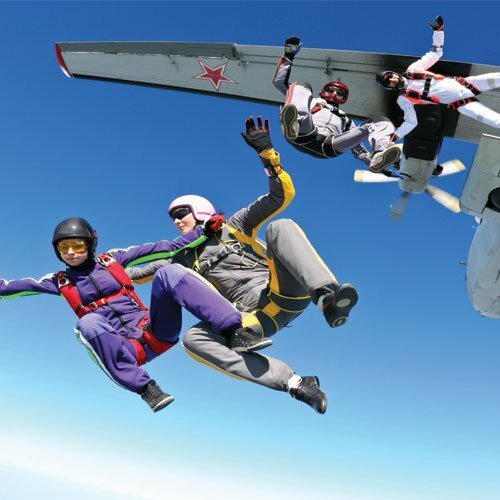 In the last 15 years alone, many disciplines have been derived from the sport of skydiving. There are international competitions, world records, and very detailed rules. There are also governing organizations such as The United States Parachute Association and The Federation Aeronautique Internationale. The big formations, body positions, and acrobatics that come from canopy piloting, freefall, and wingsuit jumps are what makes this sport one of the most fun to watch and participate in! We are not even sure where this skydiving myth originated from. If it was true, there would be a greater need for instructors who jump all day long. Skydiving only gets better after the first jump. It has been said that as you continue to jump, you already know what to expect and are able to pay a little more attention to what is actually going on in your surroundings. A whole new world opens up! You learn new skills and ultimately grow as a person in general! There are a lot of factors that go into facilitating a safe but thrilling skydive. A well-maintained airplane, modern or reliable gear and a fully certified professional instructor are never going to be cheap. Deals on sites such as Groupon include fine print that makes those crazy, cheap deals more of a hassle than they are actually worth! 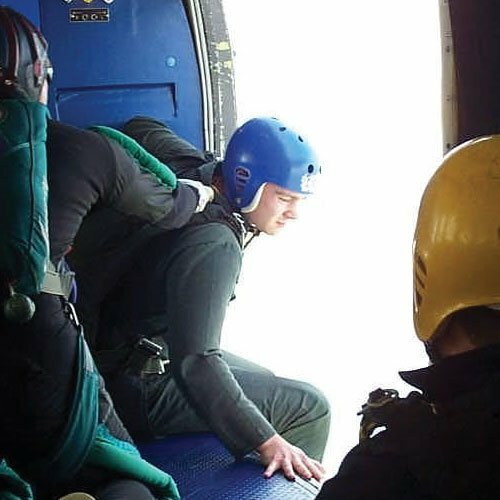 Anyways, do you really want to go with the cheapest option you find when jumping out of a perfectly good airplane? Click here for our pricing! Preparing to take the jump! Practicing group dives. Having a BLAST! Experience the peaceful canopy drift back to Earth with Skydive Philadelphia. We at Skydive Philadelphia strive to have transparency with not only our pricing but with our safety requirements. 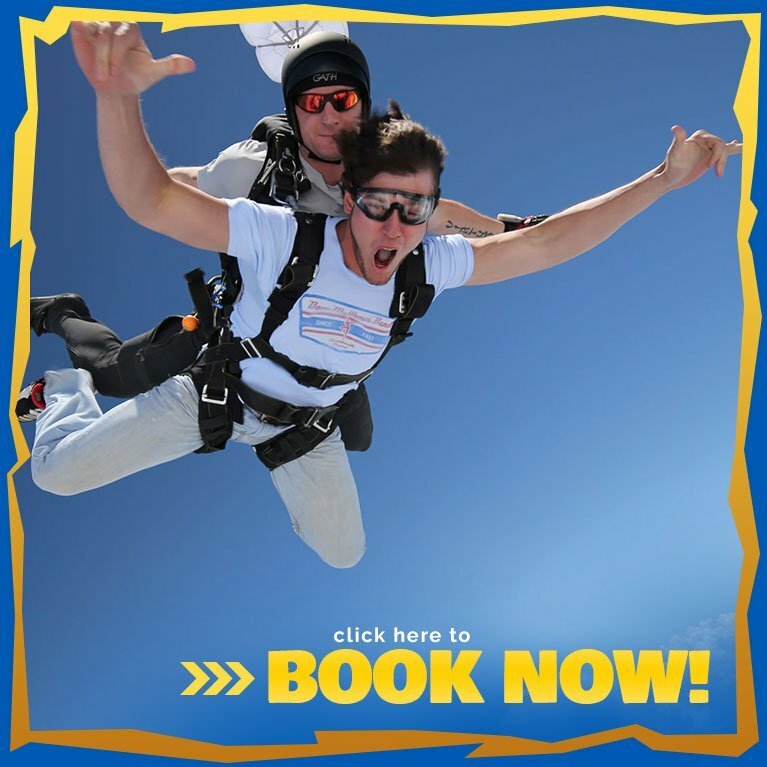 We have the ability to provide you the safest, most thrilling experience of your life for an affordable rate! Don’t just take our word for it, come experience it for yourself! Call 215-258-2255 or click here to get scheduled today!